The low speed of delivering data on websites is the worst thing that can be faced by the visitors because it makes them unable to get the information that they need quickly. Such a problem results in decreasing the number of visitors to your website, delivering data slowly leads also to getting low ranks on different search engines and all of these problems can guarantee your website to be completely ignored and your business will be destroyed. The only solution for this problem is to increase the speed of loading your website to satisfy your visitors and gain their trust. To help you to achieve your goal, we present to you “MaxCDN“. First of all, CDN is an acronym for “Content Delivery Network”. 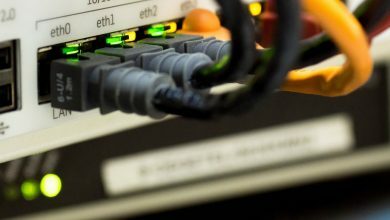 It refers to a network of servers that are spread all over the world and the main function of this network is to deliver the content of a website to its visitors from the closest server to them with the highest possible speed. The large distance between the server and the user of the website leads to delivering the content or data of the website slowly. To solve this problem, CDN uses geo-location that is based on Anycast DNS system and it helps to deliver data on the website for the visitors from the closest server which increases the speed of loading the website. So, CDN helps you to satisfy the visitors of your website, gain their trust, increase the traffic, meet the growing demands of your business that sometimes lead to loading your website slowly, boost the ranking and position of your website on the most popular search engines and all of these advantages lead to making more money and getting high revenue. The servers that are used by MaxCDN for delivering the data of your website to the visitors who load it are not shared servers like those which are used for hosting websites. The only function of these servers is to increase the speed of loading your website to reach the highest possible speed for delivering data to users. MaxCDN uses custom software that allows you to have different tasks such as adding services performed quickly without the need to wait for a long time, uses Anycast DNS system to provide its customers with the highest speed that they need for loading their websites quickly, US and Europe network, 100% SLA, premium dedicated bandwidth, it allows you to access more than 90 countries around the world and you also get free shared SSL without any fees or you can personalize it through using your name but you have to pay $39.99 per month. MaxCDN ensures that the setup is easy and fast as it is done through three steps and takes just 5 minutes to get setup. What makes the setup easy is that MaxCDN has plugins for most of the used website software which makes it appropriate to different and most popular software and systems such as CMS or content management system like WordPress, Joomla and Drupal, it is also compatible with blogs, e-commerce stores, forums and different applications. There is no need to be a professional to know how to setup because all what you will need to do is to install the plugin for your system and configure it. If you find that the CDN is not integrated into your system, then there is no need to worry because MaxCDN provides you in this case with a quick guide that shows you the steps of integrating the CDN into your system to be able to get all the advantages of MaxCDN. You can get enough disk space that is necessary for storing the content of your website and bandwidth that is enough for delivering data on your website to its visitors. It offers to host unlimited amount of files that are under 10MB. MaxCDN provides its customers with multiple plans in order to meet their different needs. You have Starter plan that offers 1TB per year and you also have Business plan that offers 1TB per month. You can host more than one website on your account but you have to pay for that and the required fees are $3 per month and you can easily add these additional websites through your control panel or the checkout. If you find that you need extra bandwidth to meet your growing demands, then you can get it at a low price as you will need to pay 5.9¢ ($0.059) for each extra 1GB. There are other services that are offered such as EdgeSSL, additional zones for servers such as Asia Network and are also allowed to get EdgeSecurity. MaxCDN presents to its customers a user-friendly control panel that can be easily used without requiring specific skills. The control panel allows you to manage your CDN account, monitor the performance of your website through a dashboard, monitor your data usage, detect any problems, track the most requested files, helps you to generate real time reports and more tasks that can be observed and performed through this control panel. The most important feature that should be presented to customers is the support that they get to be able to use the product that they purchased. MaxCDN provides its customers with a perfect 24/7 support that is presented by the developers who built the enterprise and its network of servers around the world. The developers are available at anytime to provide you with the needed help through answering all of your questions and handling any issues you face. They quickly respond to your demands to make sure that you are satisfied. There are different support channels via which you can contact the developers such as live chat, phone, scheduled call and there is also the support knowledge base in which you may find an answer for your question and you can use it to increase your knowledge. 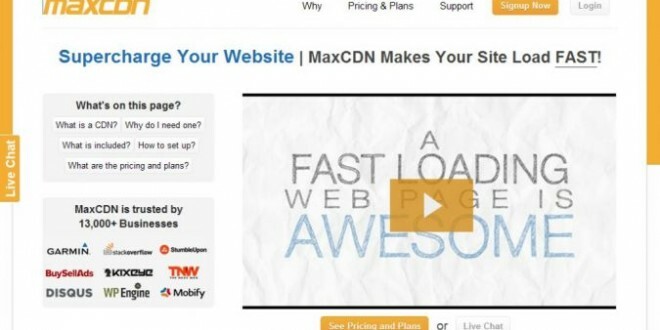 MaxCDN offers its services at reasonable and affordable prices. The Starter plan costs $39.95 per year while the Business plan costs $79.00 per month or $790 per year. You can also get 5TB for $225 per month and 10TB for $425 per month. MaxCDN offers a 25% discount on its plans which allows you to purchase the Starter plan for just $29.96 per year instead of $39.95 and to get the Business plan for $59.25 per month instead of $79.00. The feature that can help you to make your mind peaceful is the offered guarantee. MaxCDN offers a 30-day money-back guarantee that allows you to try the offered services within 30 days to make sure that they are beneficial for you and will help you to increase the speed of loading your website and delivering its data. In case you find that the services are not satisfactory or that they do not help you to achieve your goals, then you will get all of your money back without being asked any question. Most of the customers who tried to use MaxCDN for their websites recommend it and confirm that it has helped them to increase the speed of loading their websites, satisfy the visitors, increase the traffic from different areas around the world, grow their business and increase their revenues. They found that it was easy to be setup and it is appropriate for many website software and systems such as WordPress blogs. So, if you want to increase the speed of loading your website and delivering its data for visitors, then you can choose MaxCDN and trust it.